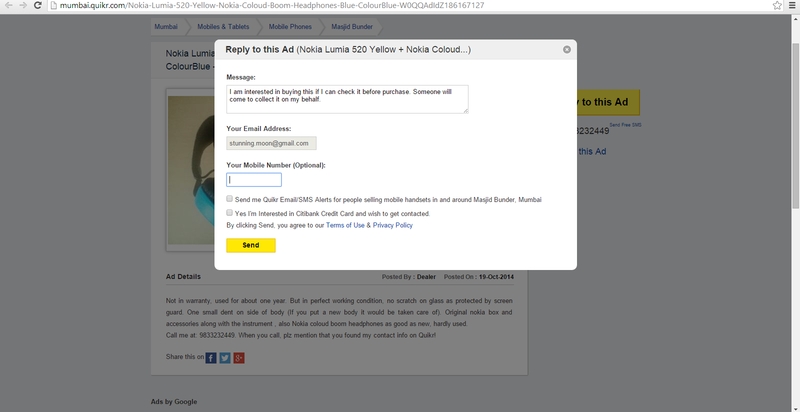 This blog is a part of the #ShopQuikr activity by Quikr.com and Blogadda.com. Blogadda & Quikr came up with an awesome Diwali Bonanza for all us shortlisted bloggers. 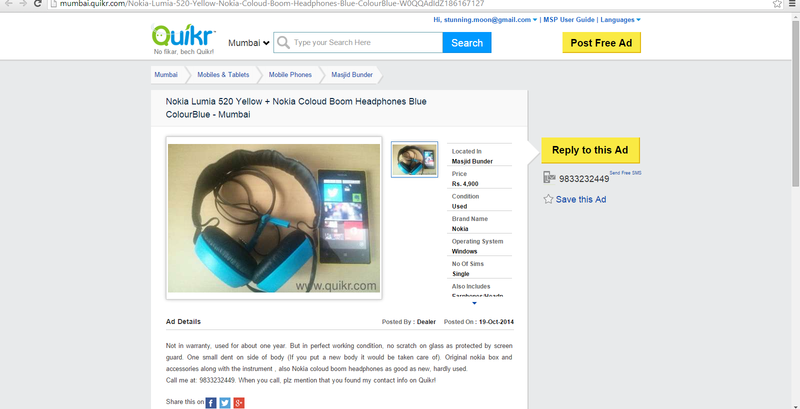 We got to shop anything on Quikr.com worth Rs.5000 and get the amount reimbursed! Whoot whoot! I have never used Quikr for making a purchase before this, but who is not aware of the famous tagline - Photo khech, Quikr pe bech. And the double role advertisements too. We usually use other online shopping portals to buy new products, infact till now I did not know so many new products are available for sale on Quikr, I always had in my mind it is for purchase/sale of old products only. My mind started racing for what to buy. 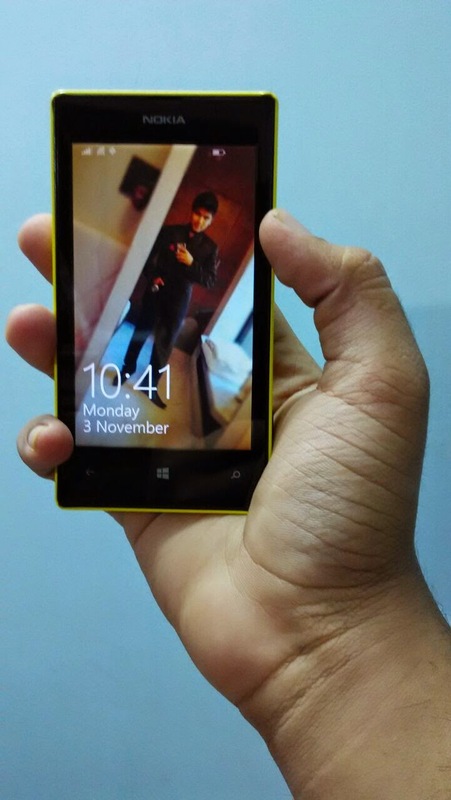 Because on Quikr you can get absolutely anything. You name it, and it's there! I had just given birth to a baby on Dhanteras so thought maybe I should buy a cradle or cot. But I was not too sure about the hygiene of used ones, and then relatives said they would be gifting me a new one soon, so I chucked that option. And thought I should buy an electronic item, one can hardly go wrong with that. Bhai Dooj was also there, and I remember my brother saying he was not happy with his phone and wanted a windows 8 smart-phone since he has a windows 8 pc also. So I logged in to quikr (actually went to register myself but found out that I was already a registered member, must have registered ages ago for some reason I cannot recollect.) That made the process faster for me. But even otherwise it is a simple quick process that takes only a few clicks! What I liked the most is the number of filters you can apply to search for the exact product you are looking for. Click here for the category link. You can filter the area, new or used, individual or dealer, specifications, etc etc. That makes your shortlisting a lot easier. Otherwise you need to go through such a long list, it is a big headache. Filtering area wise is a big boon, you can select a place close to your vicinity, after all Mumbai is huge and travelling to buy something would be a pain. I personally have had bad experience buying or selling personally, so was glad to find the dealer option on Quikr, something I could trust more. Because personal sellers will keep calling you, ask you to meet here and there. Since I was just out of the hospital and recovering, I wanted to avoid any of that. I chose to not share my cell number and communicate via email as I preferred not to be disturbed at any time of the day (another bad experience on another portal). There, my interest was submitted! I got a reply from the dealer within half an hour telling that the product can be seen during business hours. Apparently sellers get an instant alert on via sms and email, so that they can promptly reply to potential buyers. Same goes for buyers, the products that they show interest in, if similar listings come up for sale, they can opt to get alerts and notifications for the same. Must say, the dealer was not pushy, and everything was very efficient and hassle free. I myself am on bed rest so I asked my husband, who has his business in the same locality i.e. Masjid Bunder to check the phone and finish the purchase. What attracted me towards this particular one is the headphone they were giving along, Nokia original coloud boom headphone and they're really good, worth 2-3K by itself. 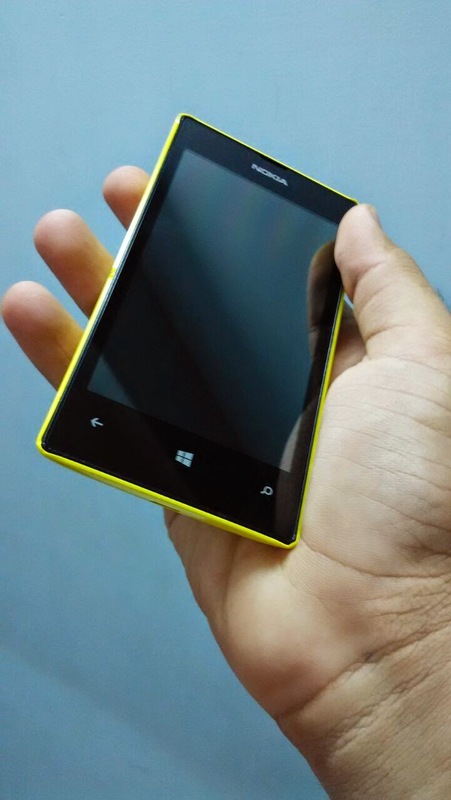 Also the fact that it was a yellow colour Lumia, my favorite colour among the range. He went the very next day and called me to tell that the phone had a minor dent on the side (which was already mentioned in the listing), but otherwise phone and headphone both were in perfect working condition. I said, go ahead with it, as we did not really have the time or energy to visit different dealers or sellers. We did not try to negotiate since we would be reimbursed for it. 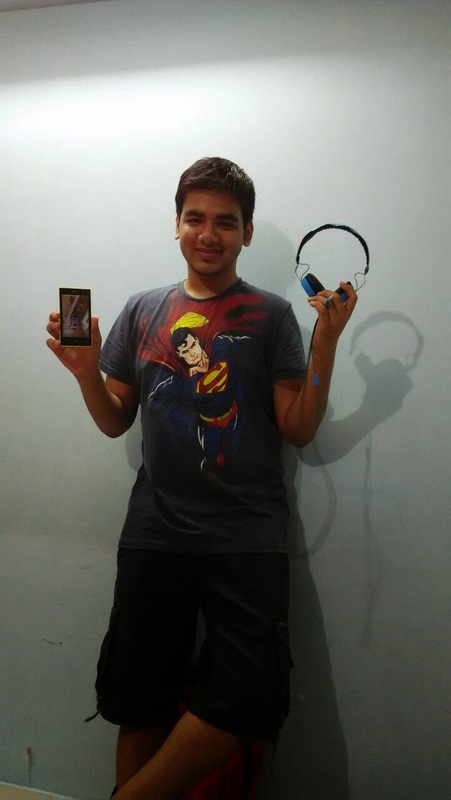 I gifted the phone and headphone to my brother and he was in for such a surprise! I also promised to buy him a new phone on his 18th birthday, but till then he would have to learn to make do with this one (Don't want to spoil him you see). 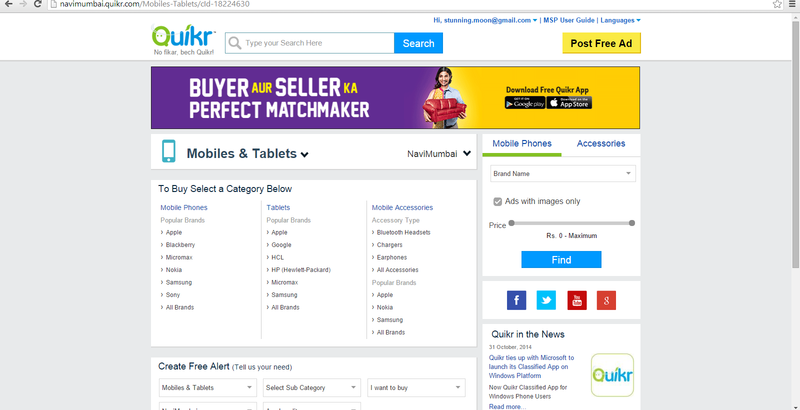 I am sure next time I want to buy something, I am going to first check Quikr and then other portals, because when individuals and dealers want to sell something at a cheap reasonable rate, Quikr is the place to go! I loved how the entire process got done in a day. In-fact once I have some free time I have lots of products I would love to sell myself! They even have a mobile app, which I have already downloaded, available for android HERE. It's been a really happy Diwali indeed!